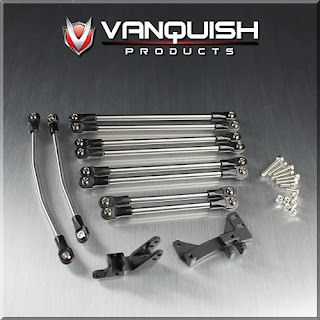 Vanquish Products has a new 3 Link / CMS / Panhard Conversion Kit for the Axial SCX10 with Stock 12.3" wheel base. The kit is available in two colors: Black (VPS06973) and Silver (VPS06972). Pan hard Bracket and pan hard bar. 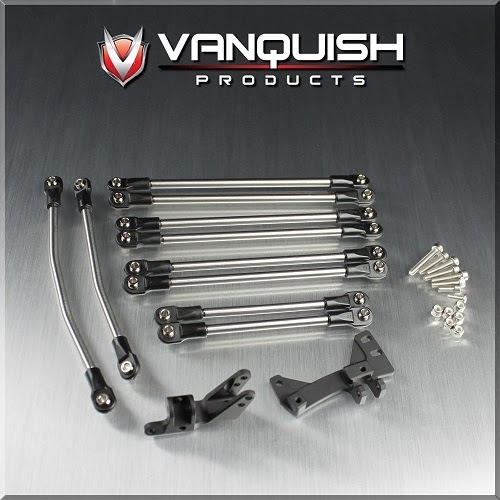 Full 10 PC Titanium Link kit with steering tie rod and drag link.